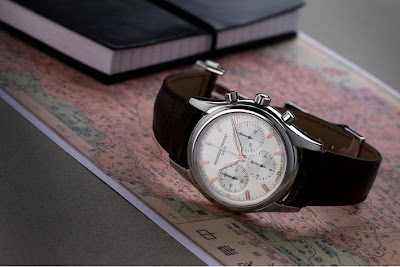 If you’re going to go retro, it’s always better if you do it with a specific theme in mind and that’s just what Swiss watchmaker Frédérique Constant has done with the new Vintage Racing Collection. In line with the marque’s involvement in various classic car events around the world in the past, this new collection was created in particular to celebrate its involvement in the latest edition of The Ultimate Driving Adventure: Peking to Paris. It’s a journey of some 9000 miles over 32 days which takes drivers half way around the world, starting from China through Mongolia and into Russia and onwards through the Ukraine, Poland and Europe to a hopeful triumphal finish in Paris, and all in vintage and classic cars. Frédérique Constant has announced its role as the Official Timekeeper of the Peking to Paris Motor Challenge. Frederique Constant captures the feel of these cars in their new Vintage Racing Collection. 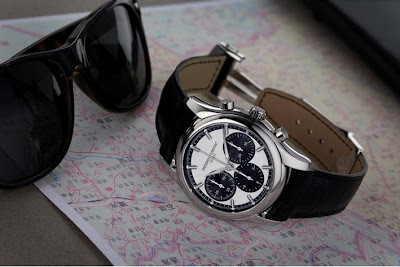 The three new automatic chronographs in the Vintage Racing Collection come in a hand-polished 43mm case in 316L stainless steel and feature three different dial options. 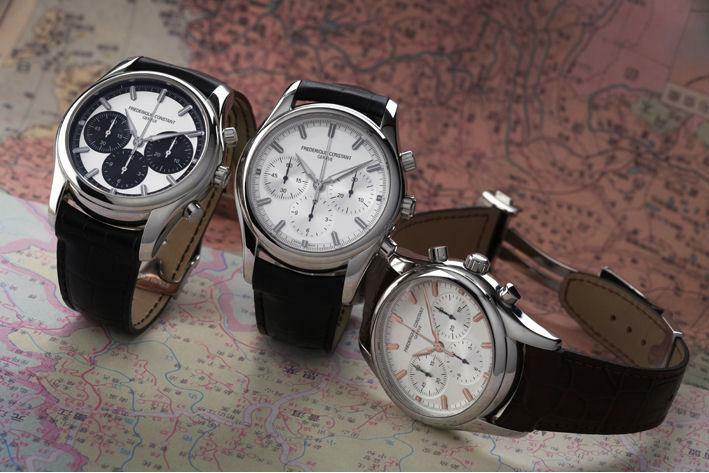 Elegant versions come with a silver dial highlighted by a blackened steel or rose gold plated indexes and hands. The sportiest version of the collection features a silver dial decorated by black chronograph counters and a black outer ring. The watches run on a self-winding chronograph calibre FC-396, beating at a frequency of 28,800 vibrations per hour. 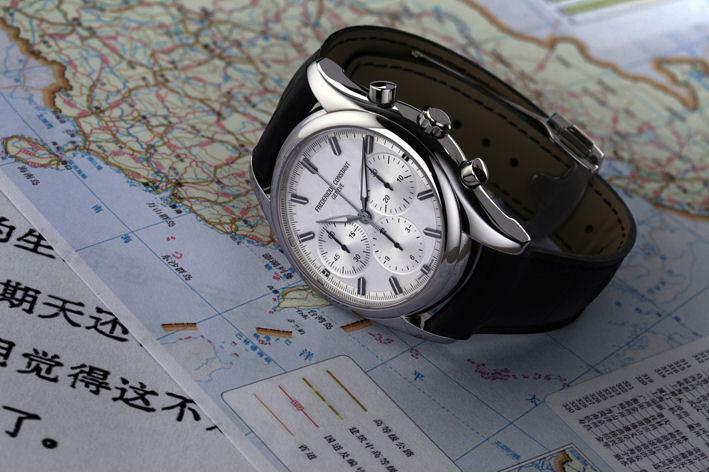 The movement and rotor, engraved with the Peking to Paris logo, are visible through the transparent case-back. Each of the Vintage Racing Collection watches will be limited to just 1,888 individually-numbered pieces. Each comes in its own gift box, together with an exclusive commemorative plate which details the route driven by the participants of the latest Peking to Paris Motor Challenge. The retail price for all three models is US$2750. Convex sapphire crystal, See-through case back secured by 6 screws.